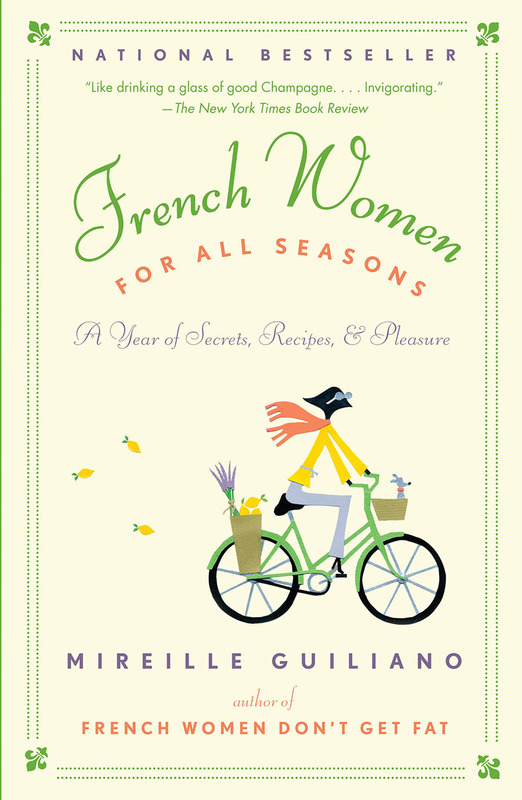 For the legions of fans who asked for seconds after devouring French Women Don’t Get Fat, a charming and practical guide to adding some joie to your vie and to your table, every day of the year. After being inundated with requests for more advice from her readers, Mireille’s answer is this buoyant book, brimming with tips and tricks for living with the utmost pleasure and style, without gaining weight. More than a theory or ideal, the French woman’s way is an all-encompassing program that can be practiced anytime, anywhere. Here are four full seasons of strategies for shopping, cooking and moving throughout the year. Whether your aim is finding two scoopfuls of pleasure in one of crème brûlée, or entertaining beautifully when time is short and expectations are high, the answers are here. And here too are 100 new simple and appetizing recipes that feature French staples such as leeks and chocolate and many more unexpected treats besides, guaranteeing that boredom will never be a guest at your table. Woven through this year of living comme les françaises are more of Mireille’s delectable stories about living in Paris and New York and traveling just about everywhere else – in the voice that has already beguiled a million honorary French women. Lest anyone still wonder: here is a new compendium of reasons – both traditional and modern – why French women don’t get fat.